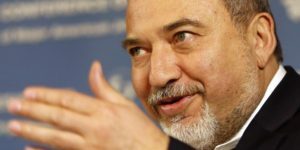 Israel’s defense minister Sunday condoned killing of unarmed Palestinians, including journalists, in Gaza as he argued that no one in the enclaved strip is innocent because of Hamas’s control of the besieged impoverished territory. Avigdor Lieberman, far-right member of the cabinet is known for his bitter hate for Palestinians especially the Islamist movement administrating the enclave. Following the death of nine people on Friday including the death of former al Jazeera and BBC local contractor, Yasser Murtaja, Lieberman vowed to continue killing those involved in the Great March of Return protest which began late last month and scheduled to culminate on May 15, the anniversary of Nakhba Day, when 700,000 Palestinians were forced out of their homes following the creation of Israel. “There are no innocent people in the Gaza Strip,” Lieberman told Israel’s public radio. “Everyone’s connected to Hamas, everyone gets a salary from Hamas, and all the activists trying to challenge us and breach the border are Hamas military wing activists,” he added. Thousands of the Palestinians in Gaza had joined the peaceful protest on March 30 and last Friday. The protesters marched towards the security fence between Gaza and Israel, 200 meters from the fence where the Jewish state stationed defense forces including snipers. Thirty Palestinians were killed since the beginning of the protest that Israel believes is used by Hamas to stage attacks or send infiltrators into its territory. On Friday, around 500 Palestinians, including six journalists, were wounded while over 800 were injured on March 30. Israel closed up the border with Gaza in 2007 after the Islamist movement gained the control of the strip following a victory over rival faction, Fatah in the Palestinian general elections.